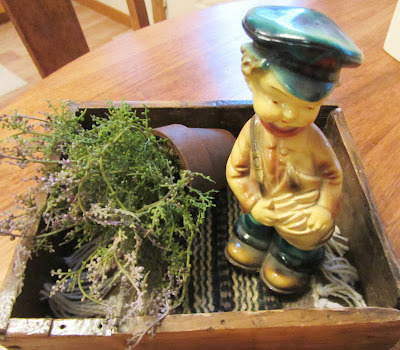 Inside the vintage wood box, beside the faux floral pot, and atop the rug material coaster, is a very special vintage figurine. 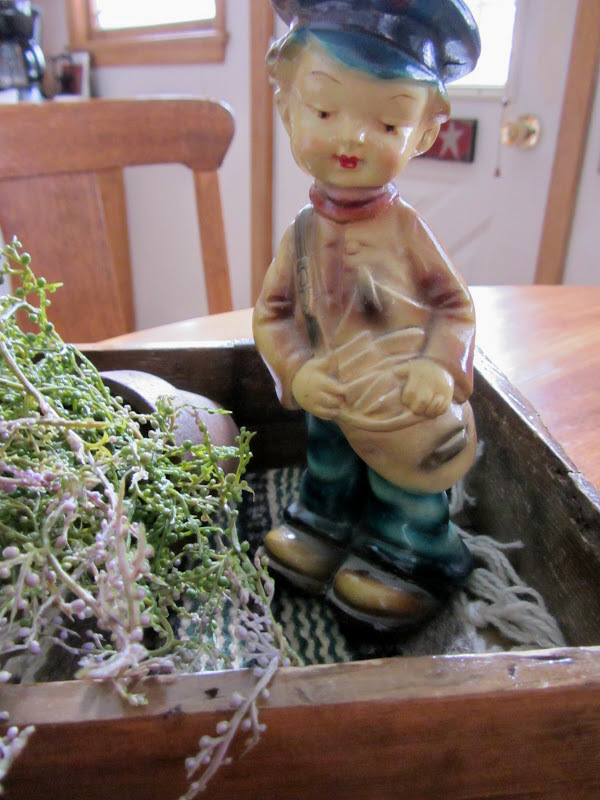 A Roman Art Co Inc, Robia Ware #182 chalkware mailman figurine (with label), my Grandma's, is in the box. It is in very, very good condition, with one very minute paint chip on one boot. So cute. So special, being a family piece. I couldn't find another of these Roman Art Co Inc #182 Robia Ware figurines on the internet today! Don't know anything about the company, or date of manufacture, but isn't he fun? I think he is darling!! Something realy sweet about these. Hope you find out about some others. Just love your home. A beautiful piece...and I know it means so much to you! Thanks for sharing. A very cute little figurine. It is new to me. Oh, he is so cute! & the fact that he was your grandmother's make him oh so special! 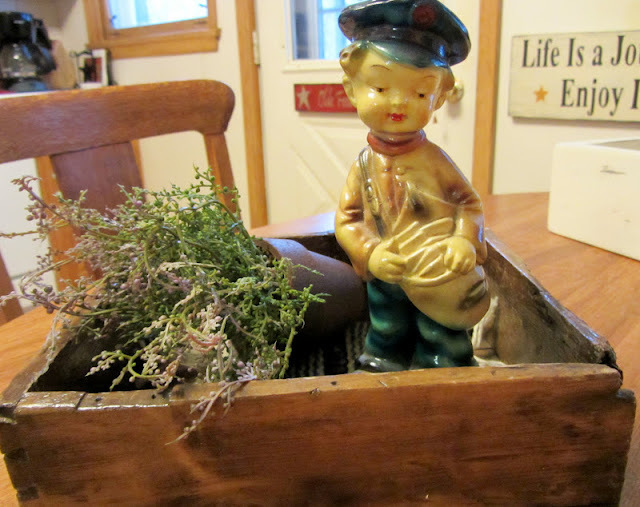 Just adorable and even more special knowing it belonged to your grandmother! Sweet. Was there a mailman in your Grandma's past? Happy Thursday. He is darling!! What a sweet family treasure. What an adorable piece! Love that first picture--great vignette. Thanks for linking up to Share the Love Wednesday!